Make sure you catch garage door repairs before they turn costly! Garage doors are so reliable that many Dallas homeowners don’t worry about the functionality of their garage door until it is obviously broken. Garage Doors are more complex than most people think. Action Garage Door understands that it can be difficult to spot these issues in advice. The best way to save money and stay safe is to prevent big fixes with your garage door. Below are a few warning signs that something may not be quite right with your garage door. When you use your garage door, pay close attention to how it sounds. If your garage door becomes overly loud, or starts to sound like metal is scraping, that is an important indication that something is not right. 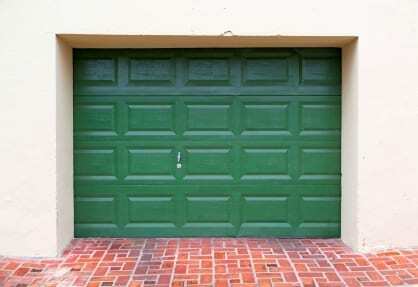 Call a garage door professional to come and inspect your door to ensure it is safe to use. There are some problems that aren’t as easily apparent. Generally you should give your garage door a quick look-over a few times a year as part of proper garage door maintenance. Check for damage, holes, or warping. If you start to see slight bending, it could be internal decay. If your garage door is shaking or rattling, you can check the balance to make sure it is functioning properly. You do this by disconnecting the door from the opener and manually lifting it up. If the door stays in the up position, your springs are wearing evenly, but if one side drops down, your door needs repair work. If you start to notice any of these signs, or something just doesn’t look right to you, contact Action Garage Door. Give us a call at 972-254-4040 to speak to one of our friendly and knowledgeable staff members.